Clair D'All, Dundee ambassador for Euan's Guide, out and about in Dundee city centre. A new guide detailing disability access in Dundee and Angus is to be released. The Tayside areas are the latest to be featured in the Accessible Highlights Series created by Euan’s Guide, a disabled access review website. However, local disability campaigners have previously warned facilities at the city’s train station are not up to scratch and could put people off visiting Dundee. The guide shows ways disabled visitors might explore the city, out to Broughty Ferry and along the coastal route to Angus. Practical information about accessibility is woven throughout the guide, which features locations such as Discovery Point, Verdant Works and the upcoming V&A. In Angus, Carnoustie’s golf course is featured, along with Arbroath and Crombie County Park where people are able to take part in wheelchair accessible orienteering. Claire D’All, Euan’s Guide’s Dundee ambassador who currently lives in Monifieth, said: “I think it’s great because it shows all the hidden gems in Dundee, everything is literally on your doorstep and the city has excellent accessibility. Euan MacDonald, co-founder of Euan’s Guide said: “A city is made exciting by its attractions, food and drink and culture as well as its unknowns and hidden places and spaces. 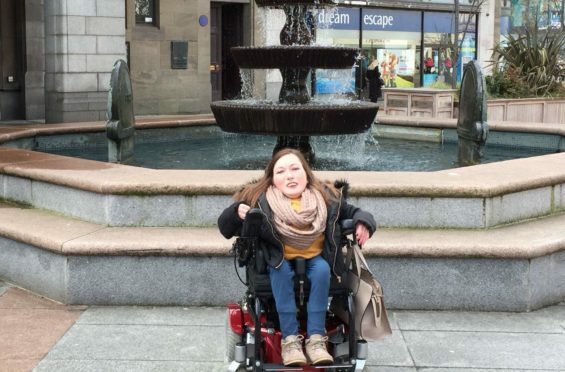 We want this new guide to intrigue disabled people and to show them that Dundee is a destination that deserves to be placed on Scotland’s accessible tourism map. Despite the plaudits, disability charity PAMIS has been campaigning to have changing places facilities installed at Dundee Rail Station, stating that not having the facility would put disabled people off coming to Dundee. ScotRail has said it will assess whether such a plan is feasible after initially saying there is not enough room at the site. A spokeswoman for Euan’s Guide said they included consideration of the station in the guide, highlighting that they support PAMIS’ desire to see a changing places toilet at the station. “We would be hopeful that the encouragement of disabled visitors to the city will be another addition to the reasons why a changing place facility at the station is such a needed resource,” she added.